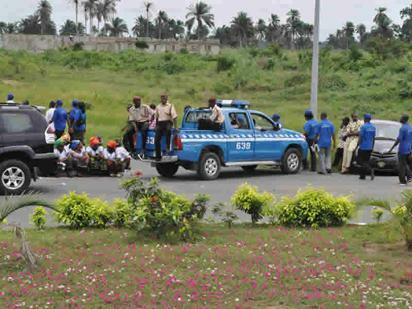 The Federal Road Safety Commission (FRSC) said that no fewer than 158 persons were killed in road accidents in Katsina State in 2017 as against 183 in 2016. Mr Godwin Ngueku, the FRSC Sector Commander in the state, disclosed this in an interview on Saturday in Katsina. “One hundred and eighty-three persons were killed in road accidents in 2016, while 158 were killed in 2017, that indicates a reduction in fatality rate, which is one of the strategic goals of the FRSC,’’ he said. He said that 284 road accidents which involved 466 vehicles were recorded across the state. Ngueku further said that 1,749 people were involved in the accidents out of which, 993 persons sustained various degrees of injury during the period under review. He attributed the major causes of the accidents to overloading, speeding, wrong overtaking, and reckless driving among others. Ngueku urged motorists to always abide by traffic rules and regulations, as well as desist from using worn-out tyres as part of measures to avert accidents on the highways. The sector commander called on passengers not to board overloaded vehicles. “Passengers are human beings with dignity, never enter overloaded vehicle because overloading causes accident. “Though, most of the overloading are done outside motor parks, we will continue to use any avenue available to enlighten passengers and sensitise motorists on road safety measures,’’ he said. He also stressed the need for traditional and religious leaders to continue to join hands with the command to enlighten people on road safety measures with a view to reducing road accidents in the country. “We want religious leaders to continue to assist us to preach to their followers on road safety measures because people listen to them. The post 158 persons died in road accidents in Katsina State in 2017— FRSC appeared first on Vanguard News.